Trinidad’s tenth British Governor was a young English aristocrat. George Francis Robert Harris, the third Lord Harris, arrived in Port of Spain in 1846. He was a popular and impartial administrator who rescued Trinidad’s economy after the crash of the sugar industry and the abolition of slavery. Under his administration a system of labour indentureship was formalised through immigration from India, China and Madeira, setting the stage for Trinidad’s present cultural diversity. Between 1848 and 1854, when Harris left Trinidad, there were marked improvements in virtually all aspects of life in Trinidad: the economy, education, government administration, public utilities. 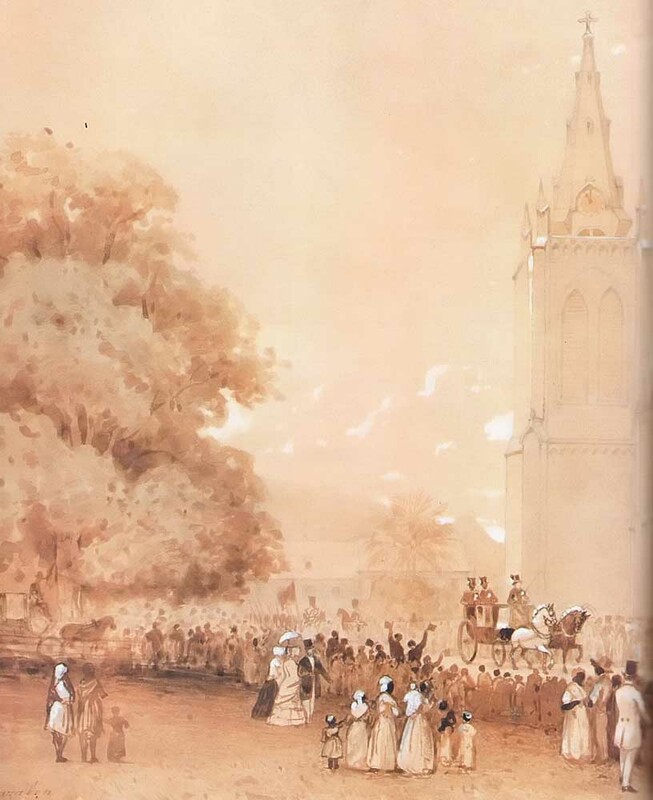 Lord Harris’s marriage in 1850 to a Trinidadian, Sarah Cummins, at Trinity Cathedral in Port of Spain, provided an unprecedented social spectacle, and endeared the Governor further to the population. 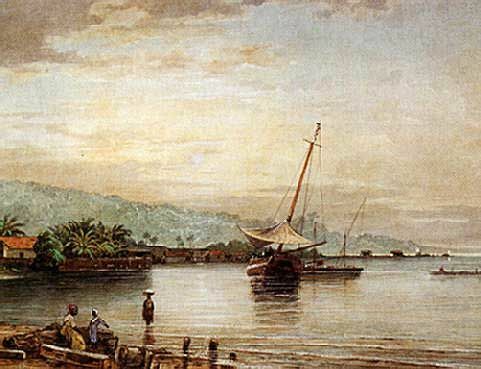 Two years after Lord Harris’s arrival, Michel Cazabon, Trinidad’s great 19th-century artist, returned to Port of Spain from Paris, intent on making his living by painting. Though from very different social backgrounds, Harris and Cazabon had much in common and became close friends. Both had been educated in England and both had lived in France, Harris in the south for his health, Cazabon in Paris as an art student. During Harris’s term of office, Cazabon prepared two volumes of lithographic prints, Views of Trinidad 1851 and Album of Trinidad 1857. They depicted many scenes of historic interest and natural beauty: The Governor’s Residence, St Ann’s; The Cottage, Mount Tanana; The Reservoir at Maraval; Caledonia and Craig Islands; Maracas Waterfall. The lithographs and sketches prepared by the artist for The Illustrated London News showed Cazabon’s constant attendance on the Governor to record official functions and social excursions. Harris is seen straddling the root of a huge tree in the hunting party in Cedar Point, Mount Tamana, the artist seated with his sketch pad behind him. The wedding party on its way to the honeymoon cottage on Craig Island, as seen in Caledonia and Craig Islands, is that of Lord Harris and his new bride, daughter of George Cummins, the Archdeacon of Trinidad. After the publication of my book on Cazabon in 1986 (Cazabon: An Illustrated Biography; Aquarela Galleries, Trinidad), I was still fascinated by the relationship between Lord Harris and Cazabon. 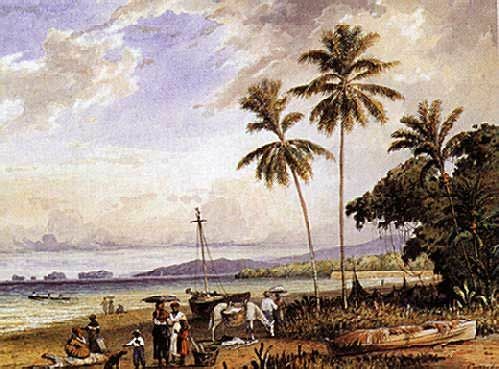 I felt that the Governor would not have left the colony without taking with him mementos in the form of paintings by his friend, which would form an important record of Trinidad’s history. Initial enquiries proved fruitless – there are several Lord Harrises in Britain, and no indication which of them might be descended from Trinidad’s Governor. But I discussed the possibilities with another Cazabon enthusiast, Brian Tonkinson, who was able to trace the Harris family to Belmont, near Faversham in Kent. Belmont House, deep in the English countryside, is as far removed from the hustle and bustle of Port of Spain as one can imagine. 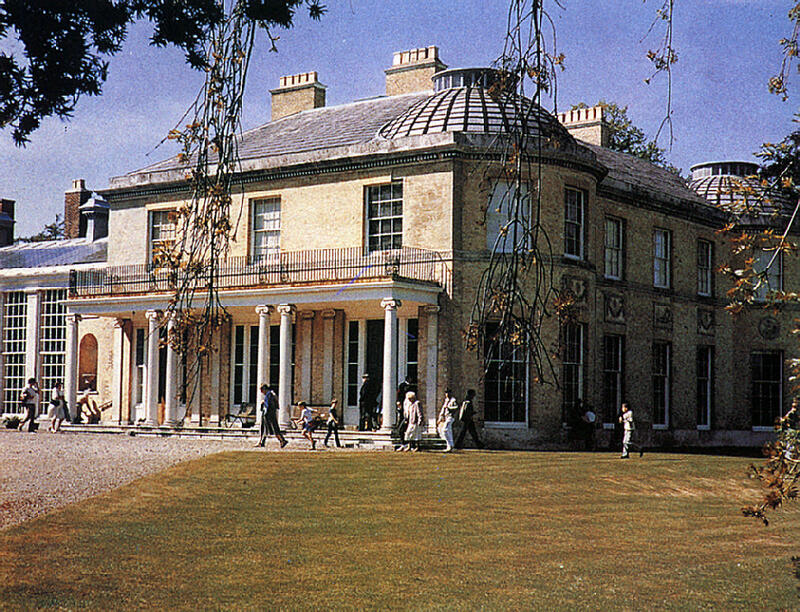 This stately home is owned by the present Lord Harris, the sixth in succession, a successful and charming farmer. 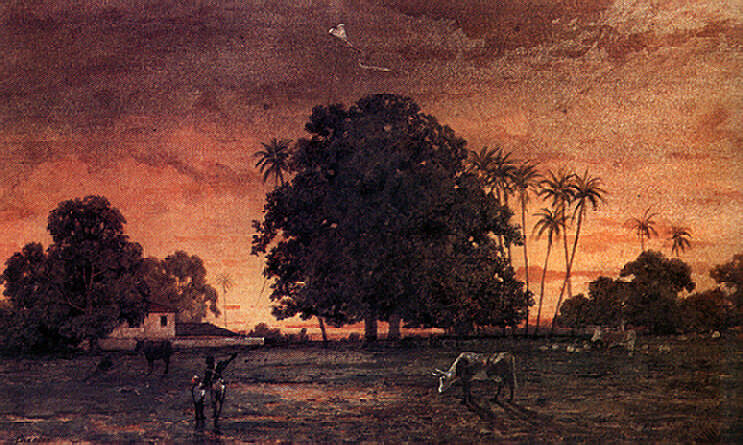 At that time, the house was looked after by the Lodge-keeper, Mr Hacking, who, when asked about the possibility of paintings by Cazabon, remembered some sketches in an album in the library relating to Trinidad – and several oil paintings stored in the attic, believed also to date from that period. Early in 1991 I visited Belmont. Since our first contact, the estate had become the responsibility of a Trust under the chairmanship of Lord Harris. As the art collection was described and catalogued, its historic importance became clear. 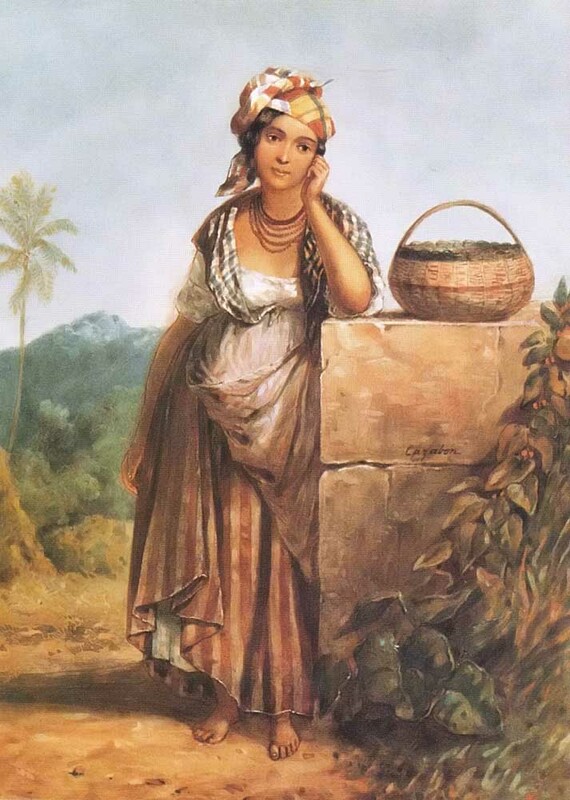 The “album in the library” contained a series of watercolours by Michel Cazabon, about 35 of the most important visual references to 19th-century Trinidad in existence. The oil paintings in the attic also turned out to be fine examples of Cazabon’s art. Among the watercolours there were images of creole women, views of the Port of Spain docks, the districts of Corbeaux Town and Carenage, sea views from Gasparee island and of Craig and Caledonia Islands, the island ferry, and studies taken at sunrise and sunset, the most charming of which was as contemporary as the scene today — a young boy flying a kite on the Port of Spain Savannah at sunset, and a spectacular panorama of the Savannah from Cotton Hill. These glimpses from a different era underlined the long and important tradition of the Savannah as the social and recreational centre of Trinidad’s capital. The oil paintings were just as interesting, and showed how important Cazabon had been in recording the life and status of the Governor. Several were on a scale not seen before in Cazabon’s work: one of them, the largest I have seen by Cazabon, shows a view of Port of Spain from Laventille Hill, with the Governor in a top-hat surveying the city with his guide. Two other paintings were of the Lodge on Mount Tamana where the Governor and his party stayed on their hunting expeditions, an exterior view showing the simple thatched building and an interior with some of the day’s catch of wild birds and quenk, the wild pigs that roam Trinidad’s forests. 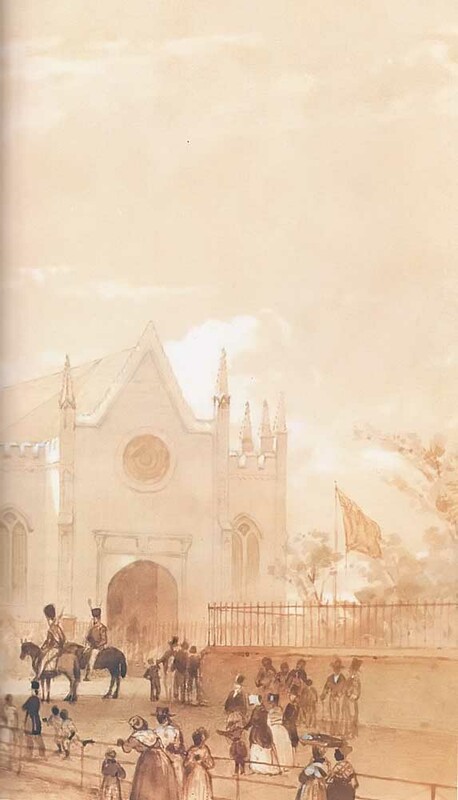 Trinity Cathedral, where the Governor married his Trinidad bride, was beautifully rendered in two sepia watercolour sketches. My favourite was a dramatic view of the Northern Range from Tamana, looking over a thickly forested central plain, the foreground punctuated by a brightly plumed bird in flight, watched by its mate resting on the branch of a nearby tree. Although the prime exhibit at Belmont is a collection of clocks, the passion of the fifth Lord Harris, the Trust has used the new Cazabons to formalise a display of Trinidad’s great painter. After restoration, mounted and framed, the paintings look magnificent. Cazabon’s renderings are not romantic. He did not glamourise life or landscape. In recording the unvarnished truth, he left us a clear picture of Trinidad at a vital stage of development. Today’s society was just being formed; the effects of slavery and its collapse were being felt in a bankrupt economy and a new social order. The population was volatile, wary of officialdom, and eager to demonstrate both against injustice (Harris faced rioters in person as they objected to the shaving of the heads of civil offenders) and for proper public utilities, especially a regular water supply. Yet it can be seen how much Governor Harris enjoyed Trinidad: its natural beauty, its wildlife, its handsome people and its architecture. His friendship with Cazabon was remarkable, given the two men’s different social and ethnic backgrounds. Cazabon attended many of the events in the Governor’s life not just as a recorder of history but as a participant: his renderings of the Governor’s marriage in Trinity Cathedral are extraordinary in the way they capture the excitement of the crowd and the sense of occasion. At Belmont, the paintings, all dating from 1850 to 1854, now hang where the third Lord Harris originally placed them: in the Blue Bedroom, the Blue Dressing Room and the South Bedroom. Any student of Trinidad’s social or artistic history, indeed anyone with a nostalgia for the Caribbean’s past, should see them.